Happy Friday, everyone! Today I want to talk about some house stuff, namely choosing paint colors, a process that stresses me to no end! You may remember last summer we had to repipe our entire house thanks to old plumbing that had seen one too many leaks. The repipe company fixes the drywall after putting approximately 3 billion holes in your walls, but they don’t paint. Which means we have had giant white splotches all over our house for well over six months (case in point). I FINALLY decided to get my act together and have started choosing paint colors for the house. As I choose colors and start painting I will share the colors with you. If I’m going to put all this legwork into finding good colors, I may as well have other people benefit, too! But before we get to actual colors, I wanted to share my best tips for picking out colors! 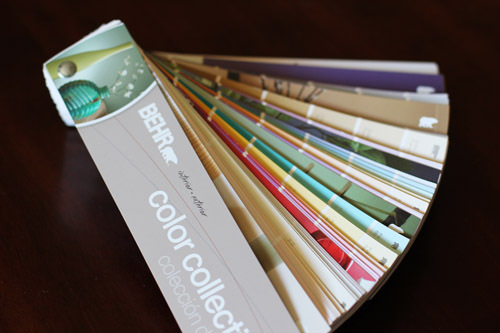 Get a color swatch book. Just going to the paint store and looking at the paint chips in the pretty display on the wall is not helpful. Get the whole darn swatch book and bring it home. It was so much more helpful than bringing just a few little color cards home and then not having them be what I was looking for. Plus, with the full swatch book, you get EVERY shade of every color family, which the little paint color cards can’t offer. 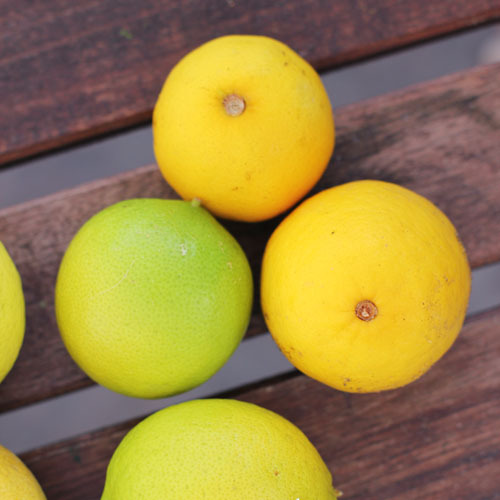 Look for color inspiration in other places. I recently discovered a luxury bedding company online called Frette. 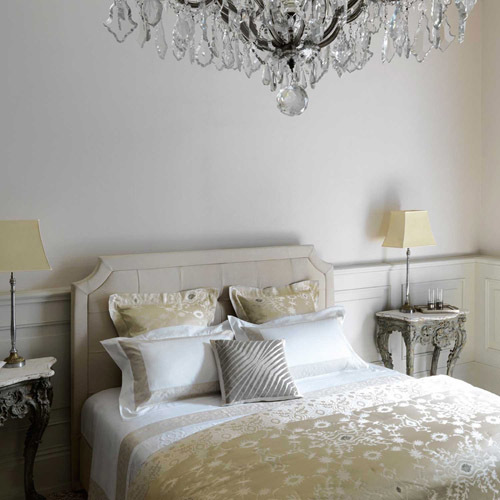 They have gorgeous linens and the site makes me just want to climb in bed and read a book all day! I found that looking at their different sheet sets was actually very helpful in getting a feel for the kind of color schemes I liked or was looking for. Plus many of their linens are quite neutral, which is perfect for paint colors. (Also, now I think I need new bedding. I didn’t know I needed it, but now I do. ;)) Whether it’s a linen company like Frette, a plant in your yard, or just constantly analyzing paint colors when you’re watching TV shows (yes, that’s what I do! ), always be looking for colors you like even when there isn’t a paint swatch to be seen! Talk to friends. Anyone who paints goes through the agony of finding paint colors, so talk to your friends, look at their walls, see what they used, find out what they sampled. This has been incredibly helpful to me through this process! Talk to an interior designer. 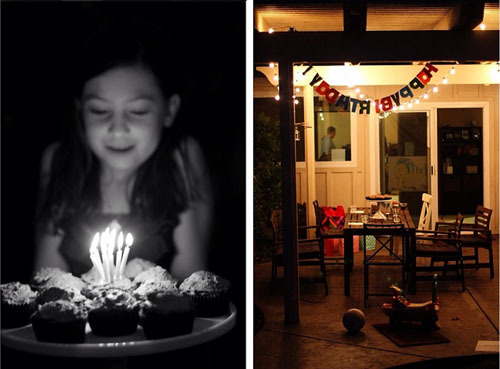 I am lucky enough to have an awesome friend named Emily who has an interior design business. She has been helping me with colors and her input has been invaluable. Interior designers are perfect for helping with this process – they have an eye for it and they work with paint colors ALL THE TIME, making them very familiar with the paint options that are out there. I highly recommend talking with an interior designer (Emily is awesome, hire her! ), even if it’s to simply pull together paint options. 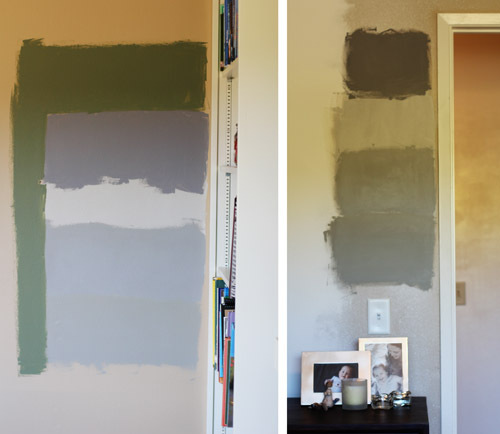 Do lots of sample colors on your wall. Emily pointed out that people tend to only get 2 paint samples, but she said that’s simply not enough! 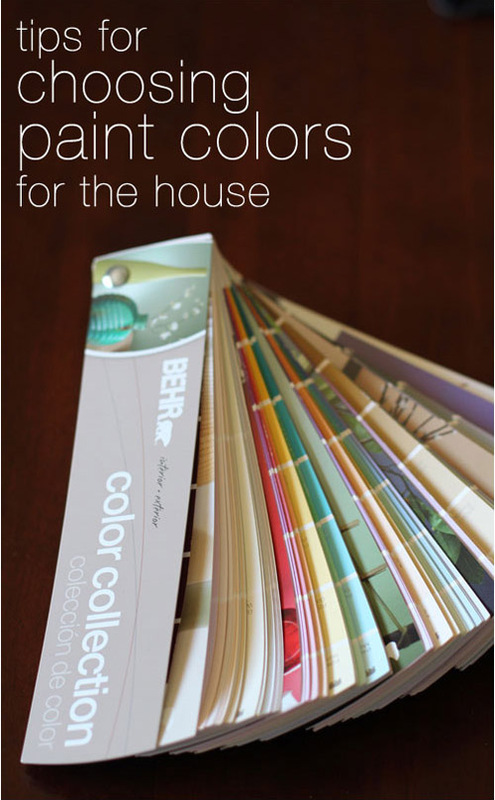 The paint samples are only $3-4 a pop, so get 4 or 5 colors. Be sure to paint the swatches in lots of places in the room and in every room you plan to paint, to account for different lighting. You can’t sample too much! 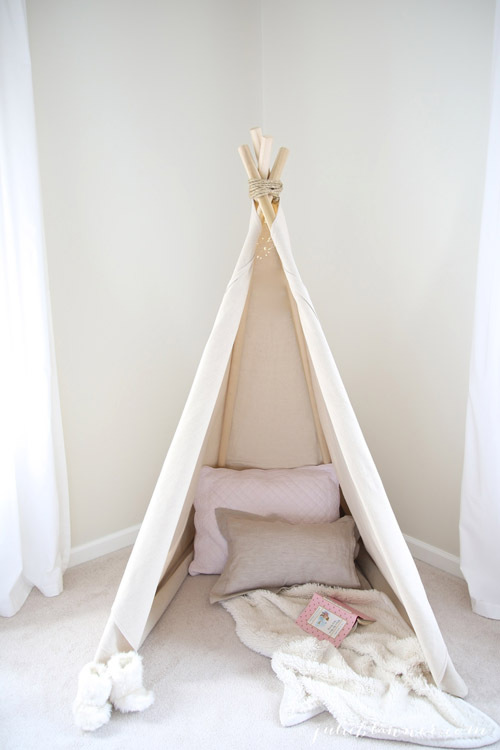 I actually don’t have anything published on other sites this week, but I DID see this awesome no-sew teepee tutorial from fellow blogger Julie Blanner that I had to share with you. How ridiculously cute is THAT?! We are going to have to do this for our kids one day! Show and tell! Please share!!! Today’s post was partially sponsored by Frette. Happy Friday! 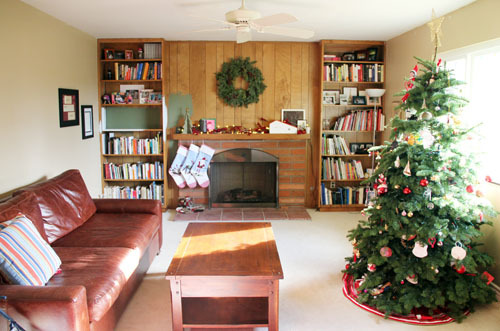 I’m getting Show and Tell up a little late today because I’ve been busy as a bee finishing up our living room decor. 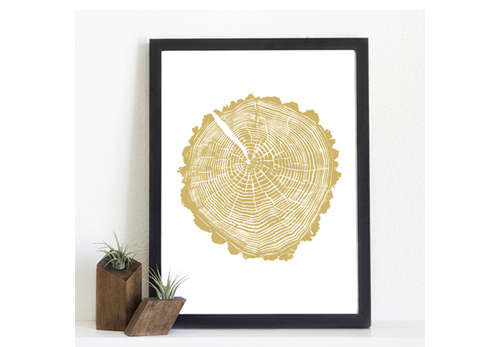 I can’t wait to share the final product with you, but until it’s totally done and picture worthy, here’s a little sneak peak of one of the gems I found for the wall: stump prints from Light & Ink. I ordered the Spring Hollow Gold print yesterday and can’t WAIT for it to arrive. I have some fun news today, too! In addition to regularly contributing to Babble, I am also now going to be writing for Parade’s food website Community Table as well as the blog for Solly Baby. 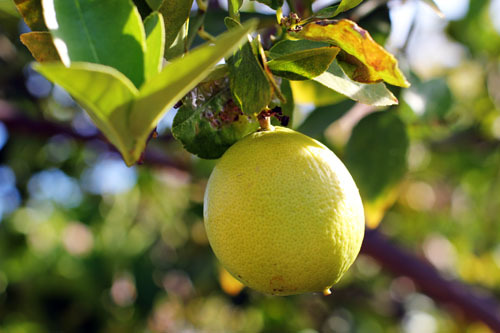 My first posts for both sites went up this week! At Community Table: 10 Romantic Cocktails for Valentine’s Day Fun! And for Solly Baby: 12 Fantastic Freezer Meals, Before The Baby! Show and Tell is for the whole class – be sure to share your own stuff and finds! Hi there. 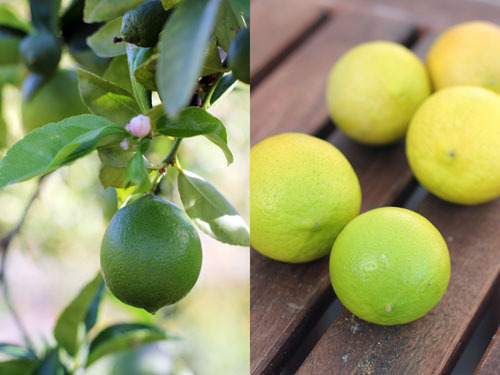 I can’t believe it’s time to plan another menu…here we go! 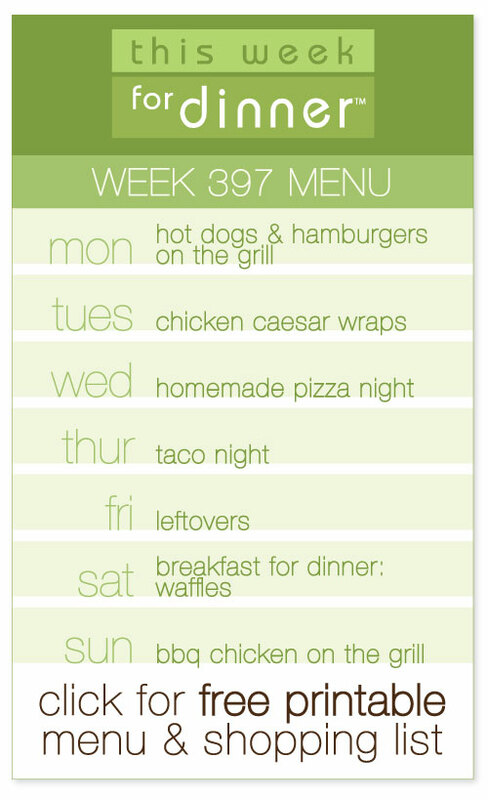 Click here for the free printable of this week’s menu plus the shopping list! Your turn! Share your menu for the week, pretty please with a cherry on top! 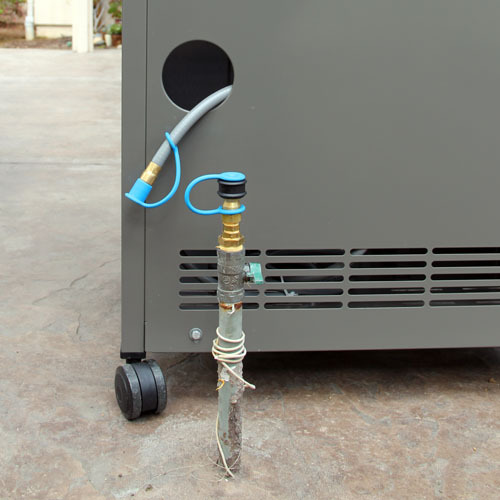 *Repiping info for California and Nevada folks: Repipe 1 was the company we used and they were fantastic. Their prices are phenomenal, they are super organized and timely, and the customer service has been great. I highly recommend them. The only issue we had was with the crew that patched up our walls. I won’t go into the too much detail, but the biggest issue was that they should have done a much better job putting plastic over our belongings, which ended up being a major headache for me. The company was quick to respond, however, and offered to come out and help clean everything (which I declined in the end and just did it myself). Even with a few hiccups on patch day, I still highly recommend them. As I type I am sitting in a hotel room in Chicago. One of the hotel employees was saying she doesn’t even care that the weather here the last few days was completely hot, humid and uncomfortable because it was finally NOT WINTER. It was really cute. It also made me grateful (once again) we ended up settling in San Diego! Regardless of where you live, however, the warm weather is finally here (okay, maybe too warm, but don’t forget that snow!). Warm weather means we can all finally enjoy some time outside. Nate and I (with the help of my sister Anne) recently gave our patio a makeover and it has made all the difference. 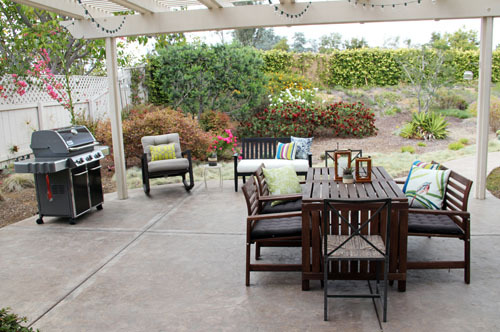 Just wanted to share it with you and maybe give you some simple ideas for your own patio and backyard sprucing! We purchased our home from the original owner. She lived her for over 40 years and took great care of the house, including putting in a beautiful yard and backyard patio. 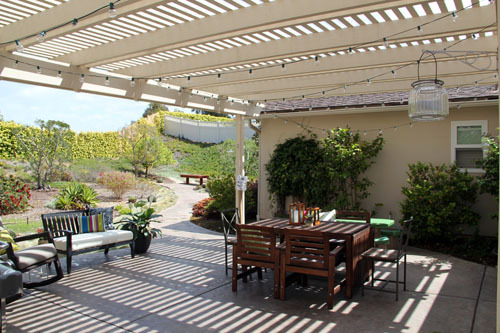 The patio area has a pergola, a gas line running out to the patio area, a fountain and beautiful plants all around. Every time I even look at the patio I feel beyond grateful. When we moved in, all we had was an outdoor table and some chairs. It’s taken us almost a year, but we have finally given our patio a makeover and I cannot tell you what a difference it has made in our enjoyment of the area. We are definitely spending more time outside, especially for meals. 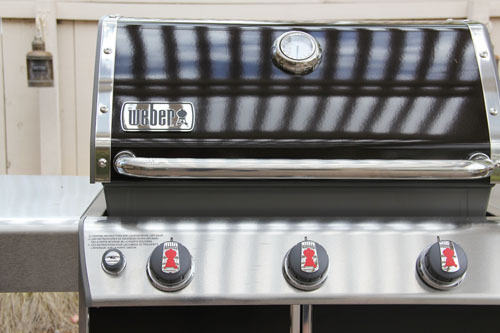 And, we finally have a grill, which means we’ll be cooking outside more, too! By adding a few functional as well as decorative features to the patio, it really has become an extension of our indoor living space. AND I LOVE IT. Here’s what we did! Fire pit: We bought an allen + roth wood fire pit for the backyard. We are planning to use it for the first time this week and the kids are ecstatic! 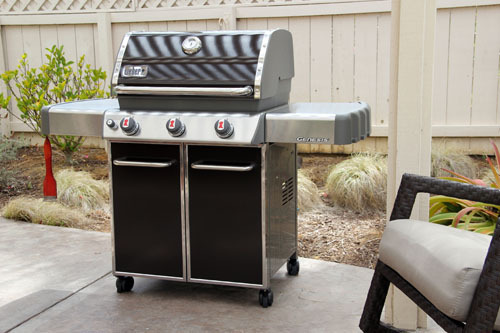 The one we chose is lightweight but really pretty, so we’re keeping it stored in the patio area, but it is easy to move out from under the pergola into the yard for when we actually do a fire. And it was only $139! 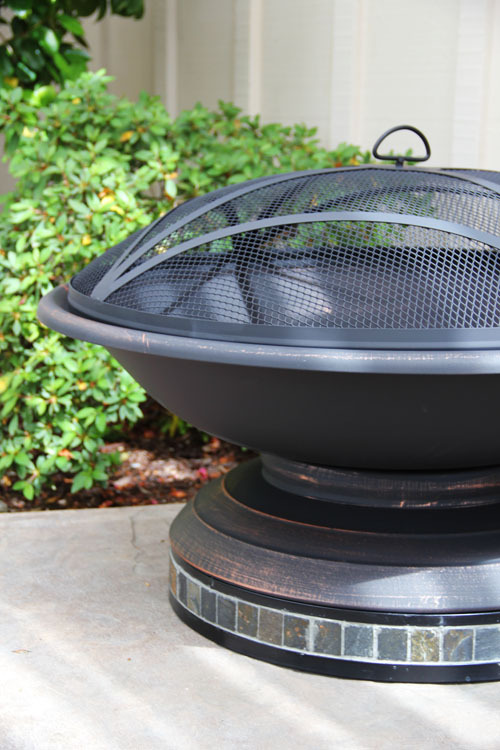 You don’t need one of those fancy built-in fire pits to enjoy the benefits! And we chose wood so we can roast food over the fire. 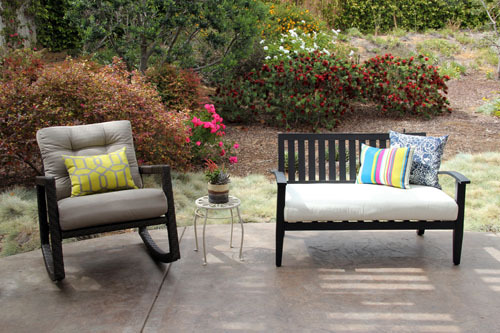 Comfortable Seating: I think my favorite addition to the porch was adding comfortable seating. It was nice having a table and chairs, but they weren’t great if you just wanted to go outside and read a book or chat with a friend. 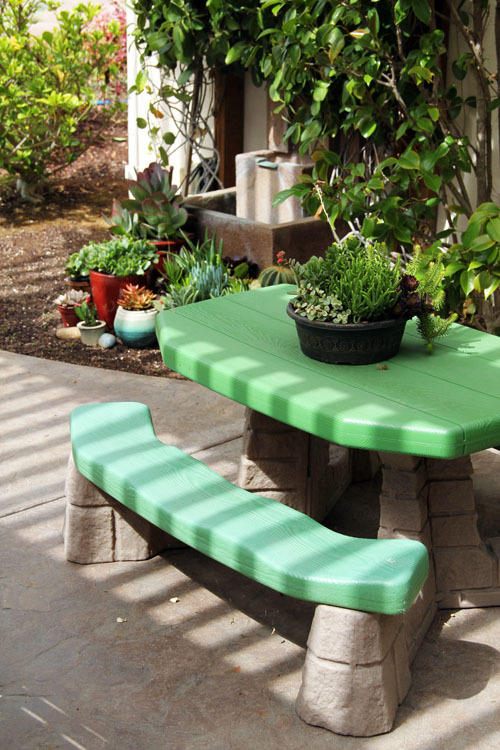 We added a cushioned bench as well as an allen + roth cushioned outdoor rocking chair. I loooooove the rocking chair, just so you know. Pillows and more pillows! Not only do the pillows add some comfort, but they just look super cute and make the space look a lot more finished. 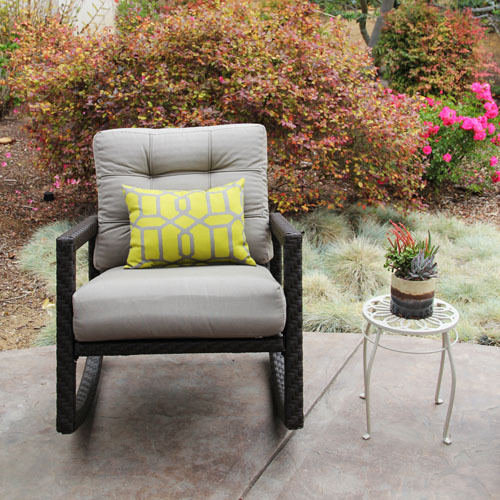 If you do nothing else, spruce up your patio with some pillows! The girls fell in love with this allen + roth outdoor pillow with a bird on it. They insisted on getting that pillow, so I used it to set the color scheme for the rest of the pillows, which matched the cushions we already had. Lighting: I had already strung some clear bulb string lights on the pergola, but we added a few glass lanterns that hang from the posts and found these really pretty wood and glass lanterns by allen + roth (one is 11″ and the other is 8.5″ – please note that the lanterns online are natural wood color – we purchased ours at the store and the wood is much darker). I have pretty LED candles to go in all the lanterns. The large pillar LED candle I found at Lowe’s even has a timer setting, so if you forget to turn it off, no biggie! Plants: We started a succulent garden for two reasons. One, succulents are hard to kill. Two, they’re gorgeous. We bought a whole slew of succulent plants at Lowe’s and set them up in front of our fountain, in a spot where we had torn out some strange and messy plants. 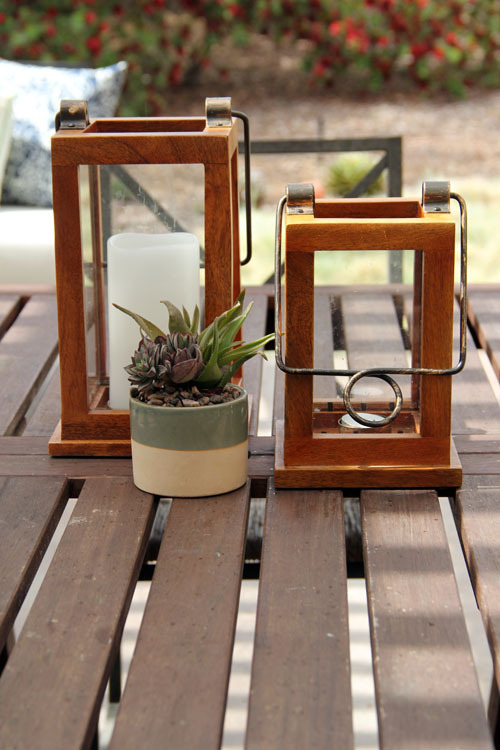 We also put a few succulent planters on tables throughout the patio. 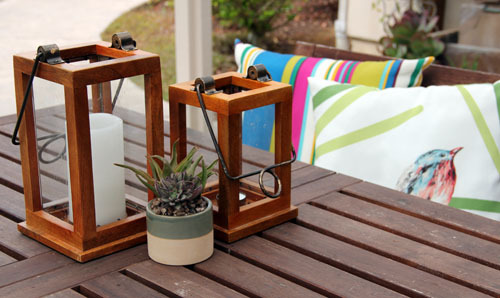 Spring is here, go have some fun with your patio! Lowe’s provided me with a gift card to purchase items for our patio makeover. All opinions are our own. 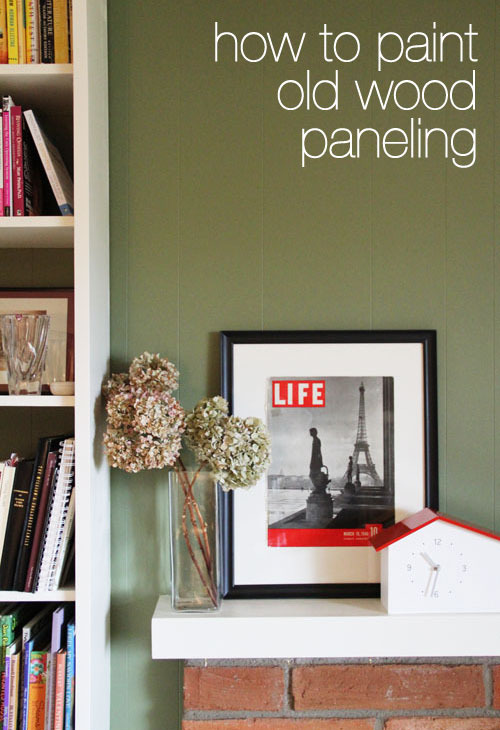 Today I have a great tip for easily painting old wood paneling. Yes, it’s easy! Well, as easy as painting a wall can be, which isn’t always necessarily easy, but you get the drift. 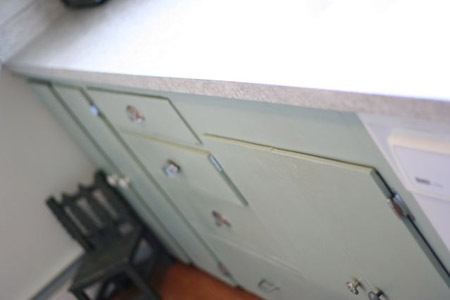 It’s easier than you think to transform those ugly brown 1960s wood panels! Every day I thank my lucky stars we found the house that we did. It was older, like we wanted, but updated, like we also wanted. 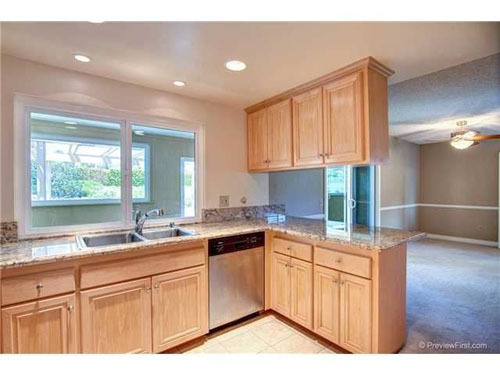 And it’s almost impossible to find a normal-priced house in San Diego these days, so we really are lucky we snagged this home! Also, there is very little work that needs to be done on the house, which has alleviated a lot of stress. Honestly, I’m just not made for doing lots of renovations. I know some people love it, but I’m not one of those people! 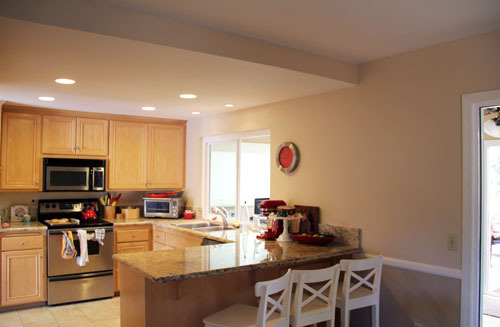 The very first thing we did when we got keys to the house and before we moved in was take out the popcorn ceilings and pull out the kitchen cabinet that separated the dining area from the kitchen. I am SO glad we did both of those things! Kitchen after – removing the cabinet opened up the whole room and made the counter feel so much bigger. There were two other things we also thought we would do before moving in – painting or removing the 1960s wood paneling in the living room and putting in hardwood floors in the dining room and hallway. Well, time and money arrived at the meeting and changed all our plans, as they so often do. The battle with my white carpet continues. Right now I’ve got it enough under control that we can go on a little longer before doing the floor thing. But over the holiday break I got the painting bug and decided to attack the living room wall. Here is what the living room looked like when we moved in, complete with wood paneling, dated brown shelves and pleated drapes. 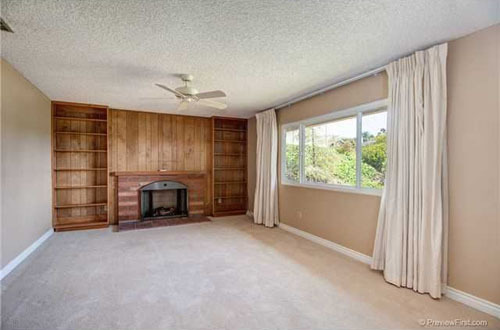 To be clear, this is the kind of wood paneling that is a thin layer tacked to the wall, not actual solid wood walls. You know what I’m talking about. Anyway, we took the drapes down upon moving in, but left the shelves and wall alone. Honestly, I kind of got used to it. 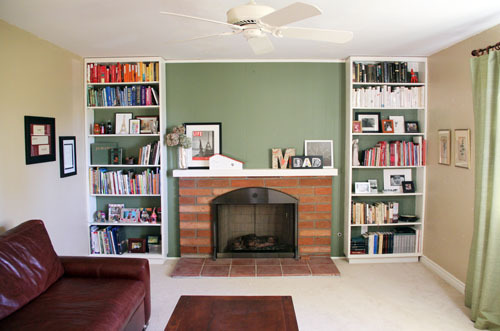 The wall and shelves were neutral in color so it wasn’t a big deal. But the fact of the matter is that it dated the room and made it feel darker. A friend of ours is a professional painter and I asked him about painting the paneling. For some reason I thought it would be hard to do and wondered if it was even possible. Don said, “No, it’s easy. And, no, you don’t have to prep the surface at all.” He then told me what to do, which I will share with you in a moment. 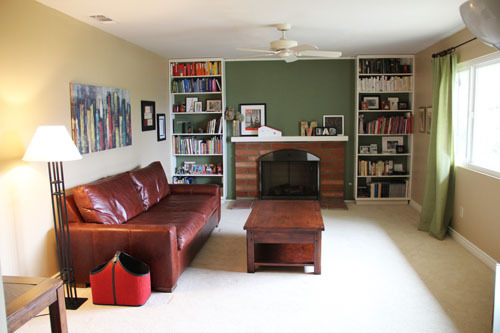 After much hemming and hawing, we decided to leave the brick unpainted and I put together a color scheme that would work with the red-orange of the brick as well as our furniture. I decided to go with a green wall. Red and green are complimentary colors and I figured if I got the right shade of green it wouldn’t at all feel Christmasy but instead warm and inviting. I went with a darker, muted green and it worked beautifully. For the shelves I decided to go with white so that it would tie in with the baseboards. I found as close a match to the white of the baseboards as I could and it worked out well. So, did Don’s trick for painting the paneling work? YES! Buy good-quality paint. Don recommends Behr. Tape off the edges and paint the wall! For the darker paint I had to do 2 coats. 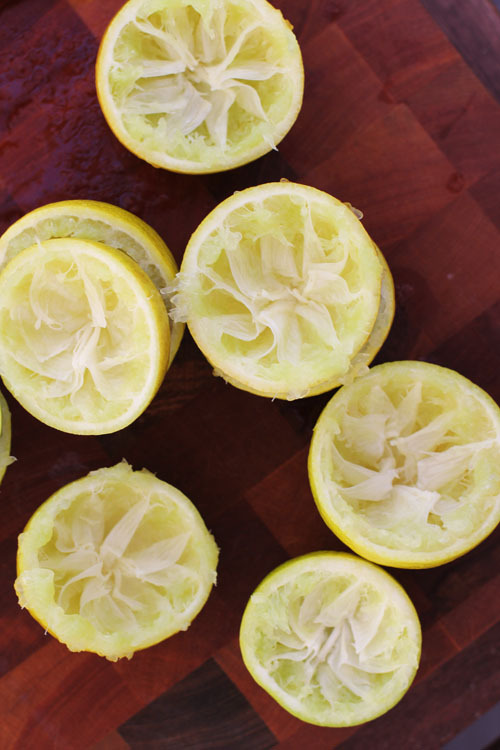 If you use a lighter color you may need to do more. Don swore to me I didn’t need to sand or anything, so we didn’t. Margaret in comment #1 below did share a good tip, as she’s been through the process before. She recommends doing a light sanding and then wiping down with tack cloth before painting, just to really ensure the integrity of the paint job. In all honesty, a light sanding is not too time consuming, so if you feel up for it, I would maybe do that, too. My paneling was NOT super shiny, so that may be why Don said I didn’t need to do it, so if your wood paneling has more of a sheen, give it a quick sanding and wipe down with that yucky tack cloth. That’s it! The old 1960s wood paneled surface took to the paint perfectly. It has a nice feel and the paint is on there good. Don told me to use the same paint and technique for the shelves, which I did. 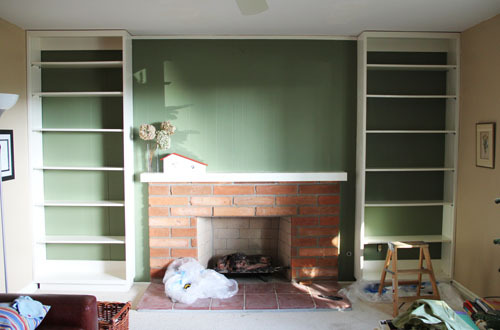 The shelves had a different finish than the wood paneling and, I think if you took a knife or a key or something to the surface you might be able to scrape the paint off. It would take a little elbow grease, but the paint isn’t as “secure” as it is on the wood paneling. That said, it still worked great and I would do it the same way again. Side note: If I had painted the shelves and wall the same color my life would have been a LOT easier. If you ever decide to do a two-tone paint job like this, just know it will cause you great aggravation! But I think in the end the hard work paid off. I’m really glad the shelves are white and I like the contrast. Just make sure to use the orange painter’s tape that is made for newly painted surfaces. The living room is coming along! Here is what we’ve done so far and what is still to come! The painting is also from Cost Plus. I love it because it ties in all of the colors together perfectly. 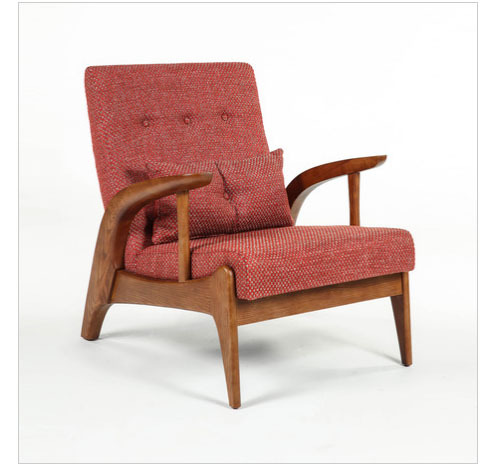 We found a great local furniture store called Nativa last weekend and I’m going to be getting two arm chairs from there, to go on either side of the window, opposite of the couch. One chair will be a dark, muted blue and the other is a really fun print that also incorporates the green-blue-reddishorange thing we’ve got going on. I almost forgot! I finally color coordinated the books on our shelves (most of them, at least) and LOVE IT. 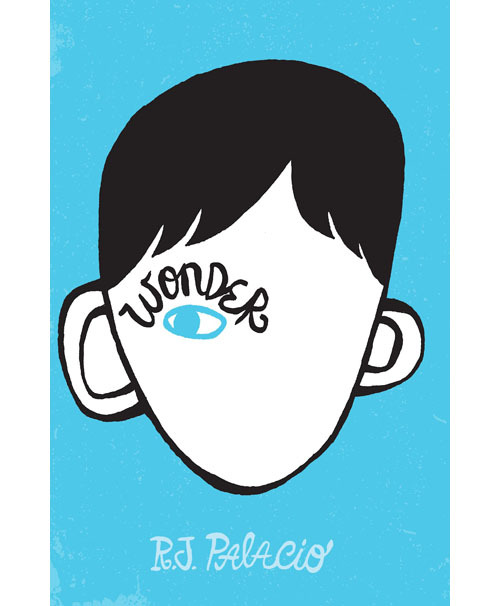 My OCD side had a hard time mixing up different genres of books, but the artistic side of me is really glad I ignored the OCD side. I need to give a shout out to my interior design friend Emily, who gets constant texts and phone calls from me making sure that the decisions we’re making aren’t crazytown. So far she’s been on board with everything! Except that she wants me to paint the whole room green. I’m still suffering from PTSD from this paint job, so we’ve gotta give that suggestion some time to percolate. 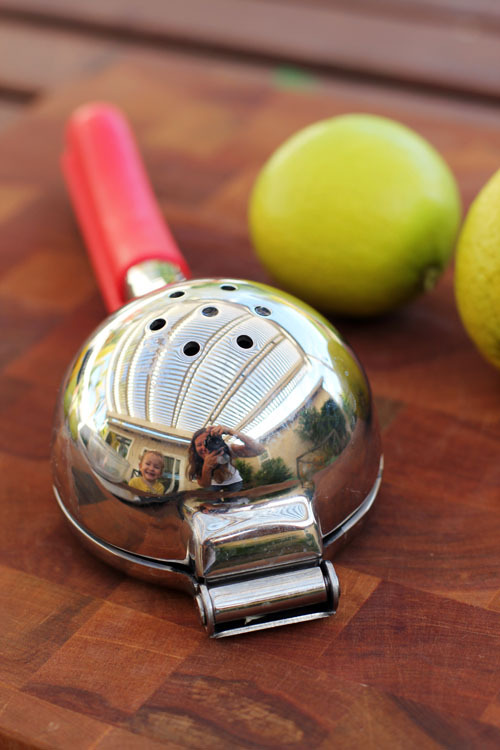 I know I claim not to be that into new year’s resolutions, but the fact I’m writing a second post about resolutions may indicate otherwise! Kinda funny. Anyway…let’s get down to business! 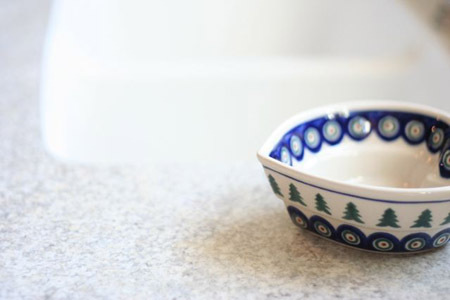 When I wrote about my Use Less Plastic goal last week, I mentioned quickly that I was also planning to make up a cleaning schedule, and several people commented about that. I decided to make the schedule purrrty and share it with all of you, in case anyone would like to use it, too! 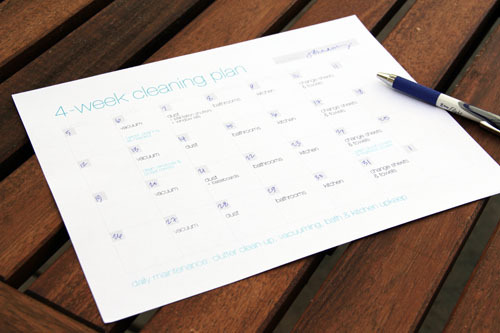 I created a 4-week cleaning schedule that I can print out about once a month. Each weekday has a task associated with it, with a few extra items thrown in here and there that only need to happen on a monthly basis. 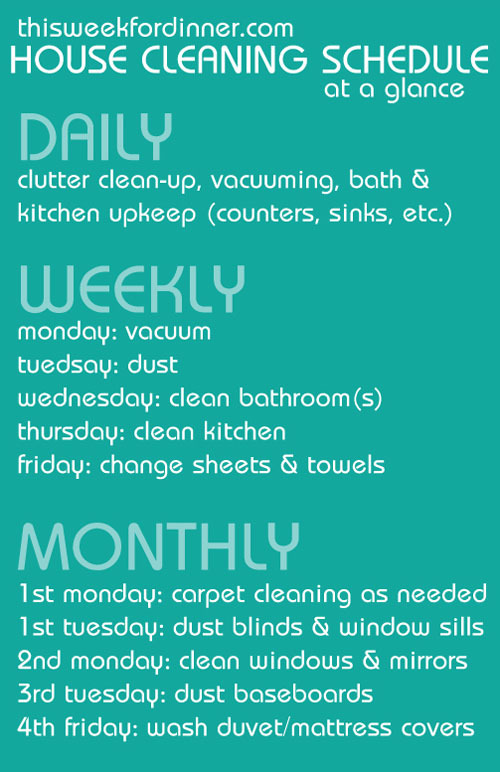 I am really hoping this helps me to stay on track with cleaning as well as make it all feel a little less overwhelming. Despite all this planning I do publicly on the blog, I am not a super organized person, but having lists to check off is very motivating for me. We’ll see how it goes! I decided that dusting, cleaning the kitchen and bathrooms, and changing the bed sheets and towels needed to happen on a weekly basis, so I assigned each of those items to the same day each week. We have white carpet throughout the house, so I have one day dedicated to vacuuming but also included “maintenance” vacuuming in my daily to-dos at the bottom of the schedule. There are a few monthly items that I spread out through the 4 weeks. 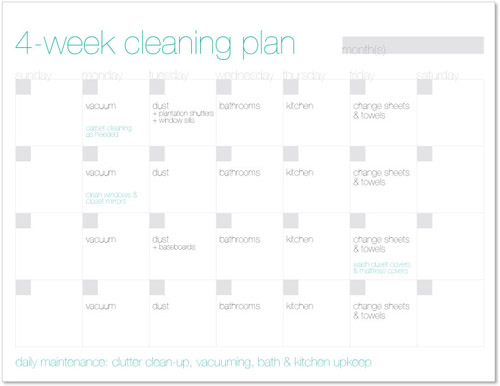 I created a PDF of the cleaning schedule that you can download and print out for yourself. There are three pages in the PDF – page 1 is my complete plan, page 2 is my plan but generalized, and page 3 is totally blank if you want to change it all up but still want to use the pretty calendar. The grey box at the top is where you write in the month and the grey squares on the calendar are for the dates for that month. You can click the image of the plan above to access the pdf or click any of the links in this paragraph. If I realize I forgot anything and add it in, I will update the PDF file! As always, this blog is what is because of YOUR input and comments! Please share your own house cleaning and organization tips that you may have or ways you successfully conquer the task. I’m sure we can all benefit from the ideas! 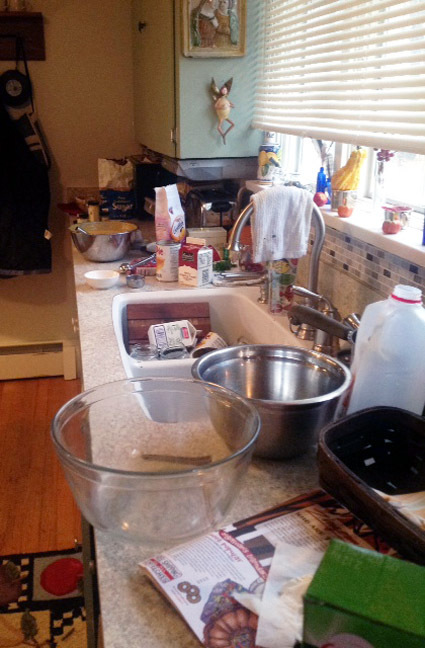 Kitchen Counter Makeover – After Pictures! 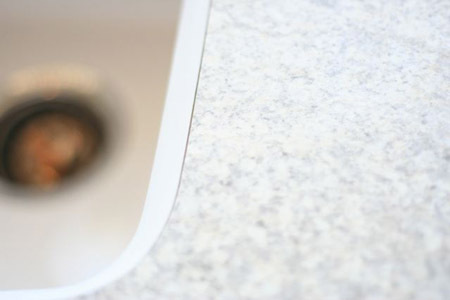 Drumroll, please…introducing Pat and Herm’s brand new Wilsonart HD countertops and sink! 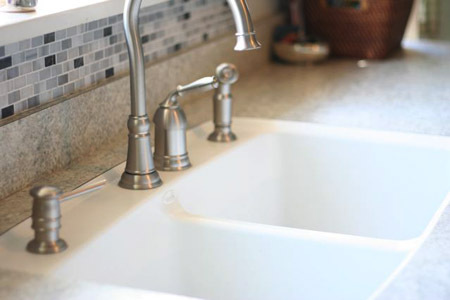 Pat and Herm chose Bainbrook Grey for the counters and decided to also go with a Wilsonart HD sink. The size and shape of their counters limited them a bit and installation was a little tricky, but they were able to figure it out! 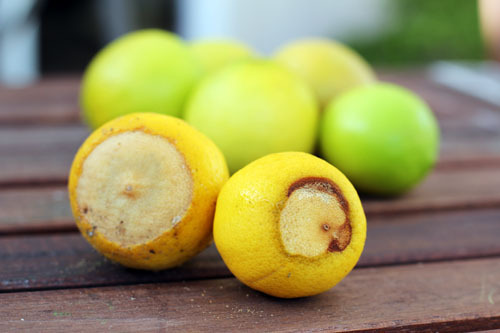 Due to the constraints, however, they were unable to get the rounded edges, which was kind of a bummer. BUT…the final product is still beautiful! 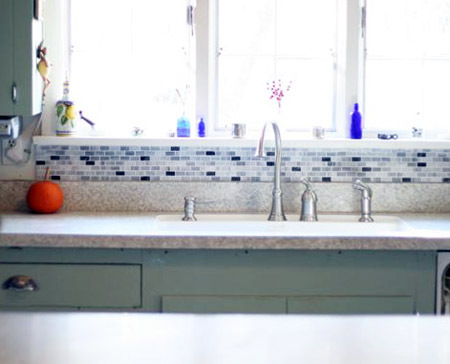 The sink is integrated into the counter, which not only looks nice but is functional, too. 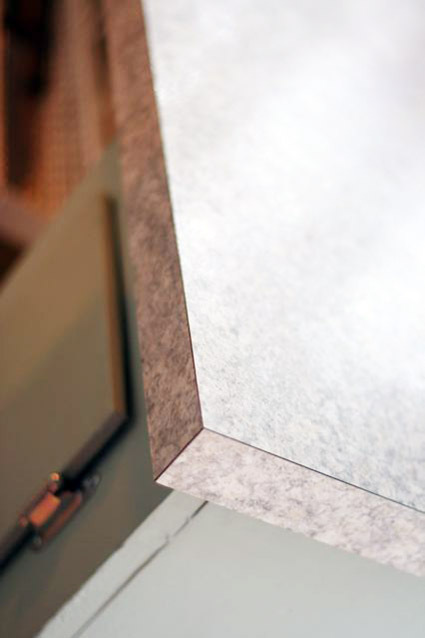 The counters are also very resilient to staining, scratching and chipping. 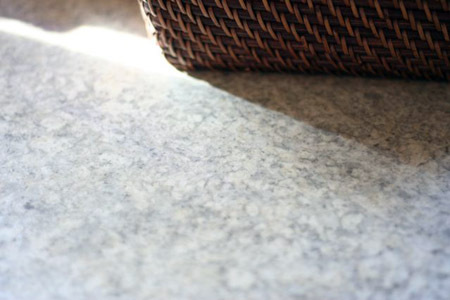 Wilsonart HD’s laminate counters really are a great option for when you don’t have a huge budget but want a high-quality, nice looking countertop. 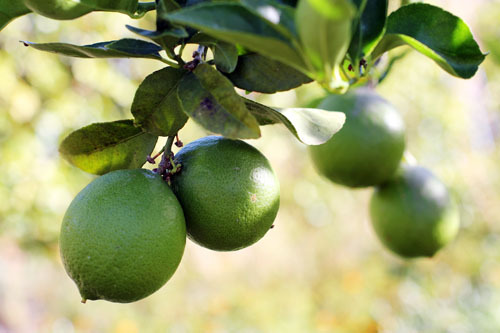 Click here to read more about their products. I can’t wait to get out to New Hampshire to see these counters myself! The last picture is my favorite one – Pat’s kitchen on Thanksgiving. 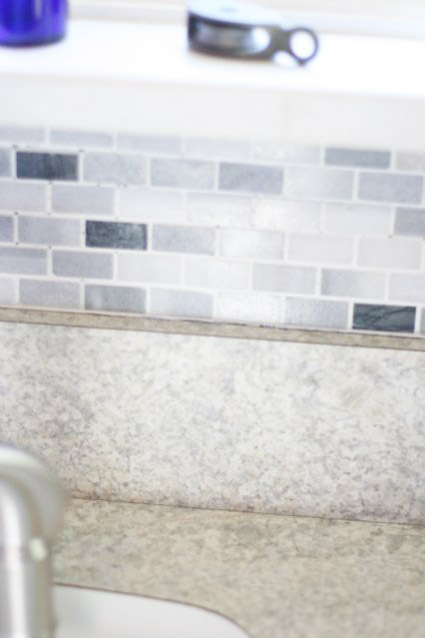 It makes me so happy that she has a nice counter and sink to use! Wilsonart HD paid for most of the supplies and installation. All opinions are our own.